We are there after a rough night, during the wee hours of the morning, or when you just don’t want to get out of your pajamas. I’m not talking about getting in your car and driving to one of our locations- I’m talking about BIGGBY Pods. 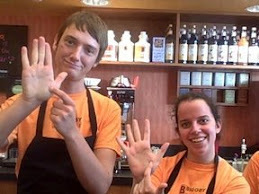 It was a smash hit when our pods landed on the shelves of BIGGBY. It was difficult to keep them in stock! Social media was a buzz when fanatics learned of this new product we offered. With our two most popular blends, BIGGBY Best and French Roast could be found online and in our stores. I know there are some days when you don’t wanna leave your house, but you still want your cup of BIGGBY. Introducing this was a runaway success. Now, friends can jump start their mornings without having to leave the house for a cup of coffee. Hearing how much our customers love BIGGBY Pods, we wanted to do something more with it. After seeing the success in our stores, we have decided to sell these items at Bed, Bath and Beyond. There are 33 Bed, Bath and Beyond locations in Michigan where pods can B found, and our fanatics are already clearing the shelves. I am very excited to see where we take them next. 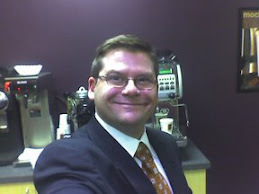 You know, I always love hearing about people’s adventures and where they travel with BIGGBY. Pods are just another great way to make sure you include us on vacation. They pack well and you never have to go without your morning cup of happiness. Coffee is not just for you, it’s for your entire community. A cup of coffee comes in all sizes- for you, for me and for the guy sitting next to you, ya’ know? It’s about sharing what you care about and loving what you do. If you love helping and giving back, then BIGGBY will help fuel you. We know you’re dedicated to making your community a better place, so we are dedicated to you in helping make that happen. Giving back started when I opened the first store. I’ve always wanted to make a positive impact on towns big and small, and there is one store in particular that comes to mind when I think about community out reach. In Lima, Ohio, Peggy Rector’s store has always done good things for the community. She has participated in things like 5K races and pancake breakfasts to help give back to the community. Peggy enjoys donating her time, and that is something I can appreciate, ya’ know? I like seeing this from our owners and operators because I know the joy it can bring to people; I’ve seen it many times. Peggy really makes a difference in her community and this helps get the word out about BIGGBY. Getting involved is rewarding on multiple levels. It brings people together and makes a community a better place to live. Giving is getting, and that kind of participation works. As a company, we love people and want them to B happy, make a difference and drink great coffee. 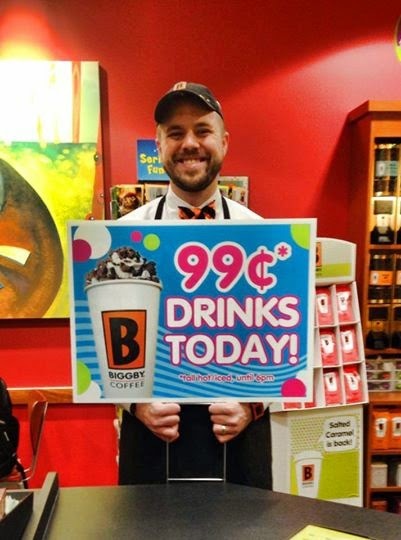 BIGGBY Birthday 2014 99 cents ! !